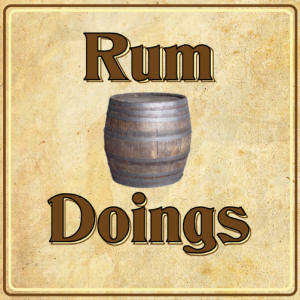 In our 172nd ever Rum Doings, our topic is what is, considering all the cracks, isn’t it now time to admit that paving stones are a noble failure which should be abandoned? We talk about how microwaves enhance baby learning, Nick’s food fight with a primary school, and John’s disgust with the awfulness of Doctor Who. There’s then chat about American late night talk shows, British attempts at them, and then some TV and book recommendations. You are of course required to leave a review on iTunes. Thank you to everyone who has – there are some extremely generous comments up there. Make sure to follow us on Twitter @rumdoings. If you want to email us, you can do that here. If you want to be a “fan” of ours on Facebook, which apparently people still do, you can do that here. Late Late with Ferguson aside, the best late-night talk show currently running is HBO’s Last Week Tonight with John Oliver (a host of British extraction). I think your a bit wrong with Doctor Who, I agree I have really disliked stephen moffats insistance about being meta all the time with his episodes. The Listen episode was really frustrating. But the other episodes have been entertaining and actually funny. Especially with Capaldi there who has a great dark abrasiveness to him that is great. Finally catching up on a backlog of these. I do think you are a little unfair on this season of Dr Who, I think it has been better than it has been in a long time, and has had some great episodes. I actually quite enjoyed Robot of Sherwood, which rather embraced what it was. In the Name of the Wind is very good, I’m currently reading the sequel, which is also pretty great. I was somewhat surprised to enjoy it given how remarkably cliched the story is, but the writing really carries it through.